The Capitol Symphonic Youth Orchestras (TCSYO) and Your Privacy. If you provide your e-mail address, The Capitol Symphonic Youth Orchestras may contact you periodically with special concert notifications, updated information and new services. If you provide The Capitol Youth Orchestras with your mailing address or telephone number, The Capitol Symphonic Youth Orchestras may also use this information to alert you to updated information and new services. If you wish to be removed from the mailing list, you may do so by contacting The Capitol Symphonic Youth Orchestras directly (see below). If we request demographic information, we will not share information about you as an individual with any other entity. If we do share demographic information with third parties, we will give them aggregate information only. The Capitol Symphonic Youth Orchestras will protect any personal financial information that you share with us. If you make a purchase online, by mail, or over the phone we will use your credit card number only to process your payment and will not use it for marketing purposes. For reasons of security, credit card information is not stored on our Web Server. We will retain order information for our records, but this information is never shared with third parties. Please include your old and new contact information so that we can make the appropriate corrections. The Capitol Symphonic Youth Orchestras would like to receive your comments and any questions about this policy. Please, address comments or questions regarding the privacy practices to us at the address listed above. The Capitol Symphonic Youth Orchestras may occasionally update this policy. 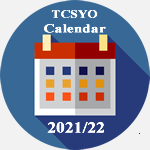 Notice of revisions will be posted at www.tcsyo.org.